A slow cooker is designed to cook foods at a low temperature for long periods of time so you can create a meal while doing other things. 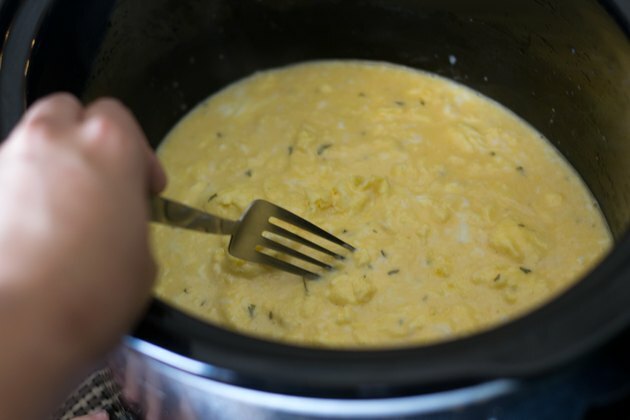 Use your slow cooker to cook scrambled eggs for Sunday brunch while you enjoy your company, rather than slaving over the stove. By adding other ingredients, you can create your own style of scrambled eggs. If you would like a healthier version of an egg dish, use an egg substitute or make the scrambled eggs with egg whites. 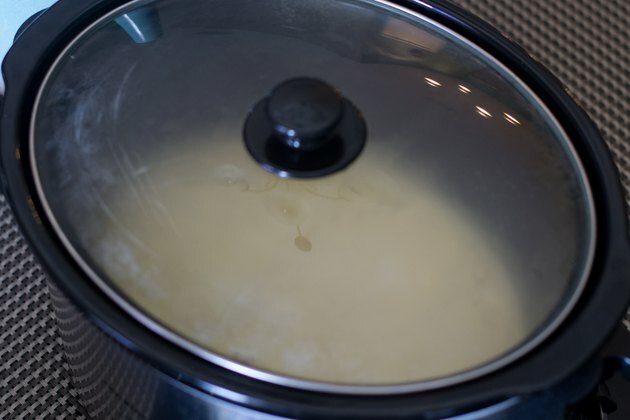 Turn the slow cooker on low and grease the sides of the slow cooker with butter or margarine, leaving a little extra on the bottom to melt. 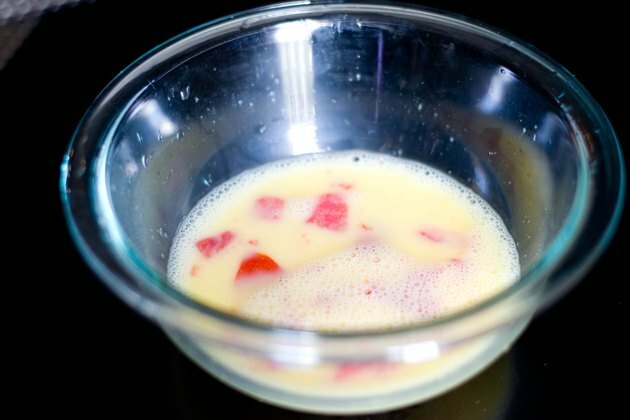 Whisk together eggs and milk in a bowl and season with salt and pepper to taste. 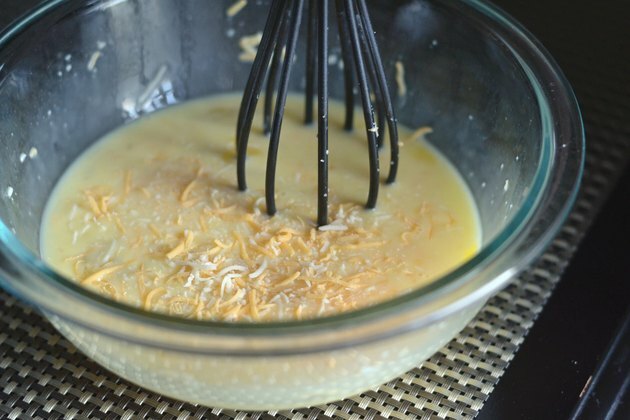 Add other ingredients to increase the flavor such as herbs and spices, minced garlic, mustard or shredded cheese to the bowl of eggs and whisk the ingredients together. Add chopped vegetables of your choosing, such as onion, red or green pepper or mushrooms to the bowl as well, if desired. 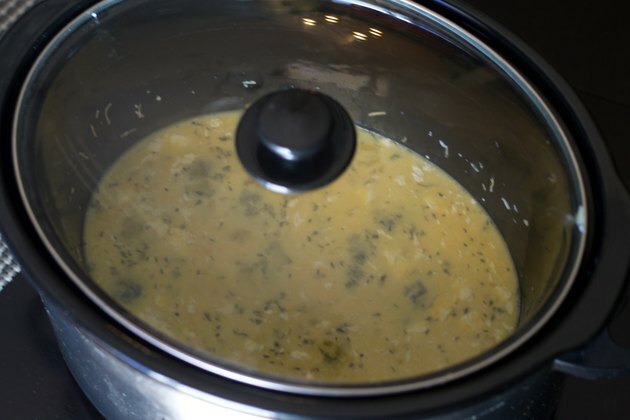 Put the whisked and seasoned eggs into the slow cooker, cover and cook on low for one hour. 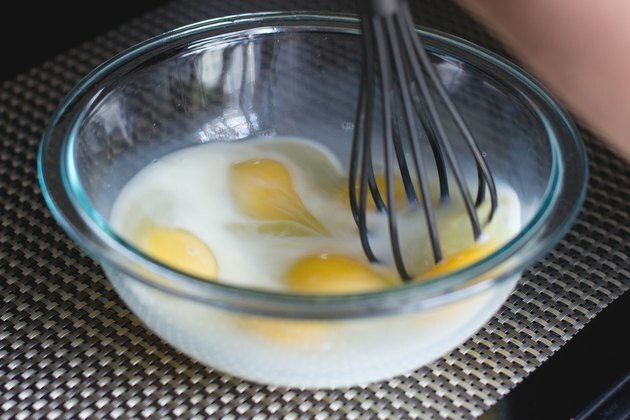 Stir the eggs with a fork to help break them up to cook evenly. Cook the scrambled eggs, covered, for one more hour. Stir the eggs again with a fork. 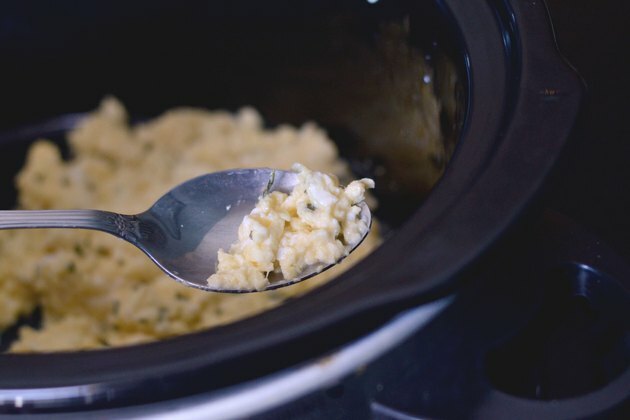 Keep the scrambled eggs warm in the slow cooker for up to two hours. 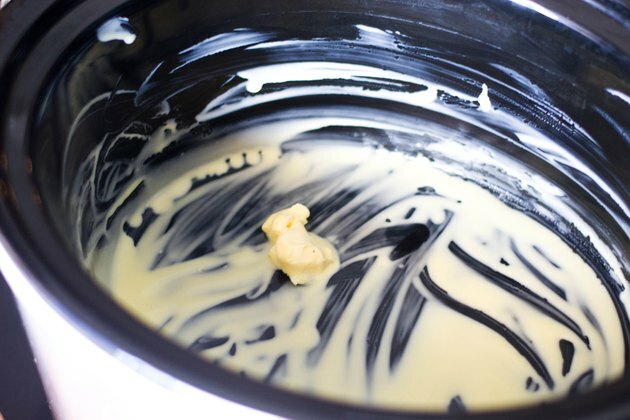 Use low-fat or skim milk for healthier scrambled eggs. How Can I Make Scrambled Eggs With Sour Cream?